Yes, wedding crowdfunding for a down payment amount for a Beacon Hill condo is a real thing. Times can be tough. How is a young couple to save for the down payment on their first downtown Boston condo? Well, if a wedding is in the works, crowdfunding could be an option. What is crowdfunding? You’ve heard of sites like Kickstarter and Indiegogo, where people with ideas run funding campaigns to get the cash they need to make them happen — whether it’s a documentary, engineering project, humanitarian effort, or other worthwhile cause. They pitch their ideas and set fundraising goals, sometimes even making it an all-or-nothing proposition (if they don’t meet the funding goal, all the money goes back to donors). Some campaigns offer creative rewards to donors, like a batch of homemade cookies or their name on the final product. The latest trend in crowdfunding is to make it all about raising cash for the new couple’s Boston Beacon Hill condo – either a down payment or money towards renovations. New websites have cropped up just for this purpose – wedding-registry platforms with the ability to accept payments directly and show everyone how close the couple is to reaching their goal. Popular among them are Feather the Nest and Hatch my House. One site, DownPaymentDreams.com, has even figured out a way to partner with downtown Boston real estate agents, offering freebies to couples who use the cash they raise to purchase a Boston condo for sale through an agent affiliated with the site. All of these websites hinge on the tradition of giving a moderately expensive gift to a couple at their wedding. Instead buying of another toaster oven, the gift-giver can contribute to the new couple’s future in a long-lasting way by seeding the equity they’ll have in their new Beacon Hill home. And in today’s up and down economy, every dollar counts toward that down payment. Will the idea catch on? It remains to be seen. There are no current campaigns on Feather the Nest or Hatch my House for Boston Midtown condo buyers, although there are thousands crowdfunding campaigns based in Boston. 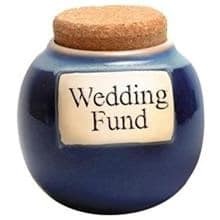 It could be that local couples are raising funds the old-fashioned way, without online crowdfunding registries, which have the disadvantage of soaking up a percentage of the money. Or maybe crowdfunding for Portland real estate just hasn’t caught on here yet! Want to try it? Crowdfunding experts say that the most successful campaigns are run by people with an existing online presence (lots of Facebook friends, Twitter followers, etc.) with a good “hook” that can help the campaign go viral. Videos help a lot – even though your friends and family know you, they want to hear what you’re saving for in your own words! Keep your goal reasonable. Hatch my House claims that the average couple has the potential to raise $9,000 (assuming 70 guests who would otherwise offer gifts valuing an average of $125 each), but you know your guests best! If you’re going this route, be sure to include a Boston real estate agent in your plans (no obligation to add one to your guest list). A good Boston real estate agent can help you figure out what your fundraising target should be for a down payment and help you make the most out of every dollar.